Welcome to our new billing and support application! From within, you can easily view and pay your invoices, request assistance with any problems you may encounter, maintain your billing information, resend your welcome E-mail and so much more! 2. How do I setup my email client? Setting up your E-Mail client is easy. Make sure that you enter the information located below into your E-Mail client account creation. 3. 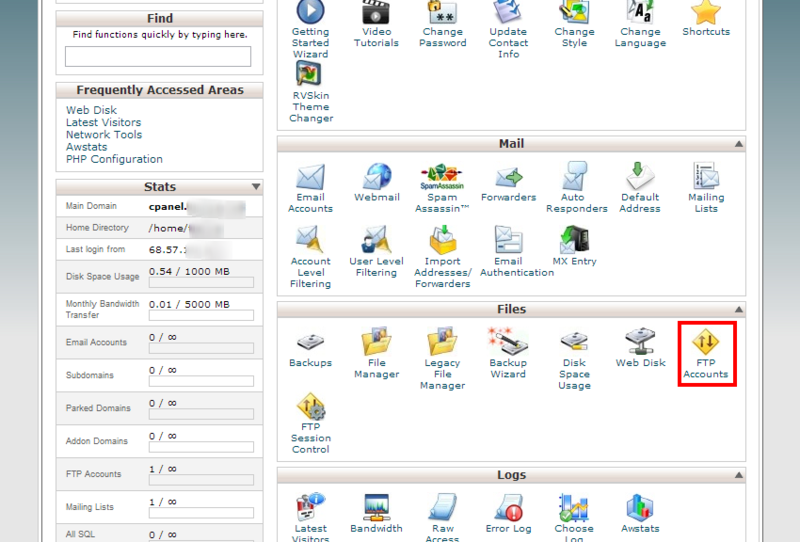 How do I access my webmail? Looking for a way to access your webmail from anywhere, even on the go? 1. Type: https://yourdomainnamehere.com/webmail into your preferred Internet browser. 2. Enter your password into the Password field. 5. Choose your prefered Email Setup (there are multiple email programs built into your webmail setup). You can manually choose one each time or you can choose which one to use permanently. 4. How do I add a new E-Mail address to my account? Adding an E-Mail address to your account only takes a few steps! 1. 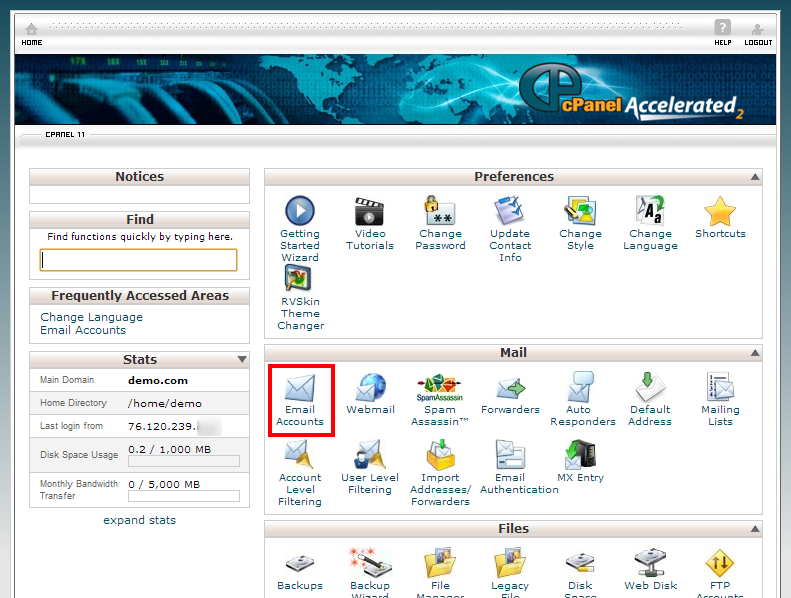 Log into your cPanel using your username and password. 3. Type the email address to be created in the Email field. 4. If you manage more than one domain, make sure to select the appropriate domain from the pull-down menu. 5. Type the password in the Password field. 6. Retype the password in the Password (again) field. Note: You can click the Password Generator link to have a strong password generated for you. 8. Type the quota in the Mailbox Quota field. The quota defines how much hard drive space the account will be allowed to use. A common setting is 250MB. 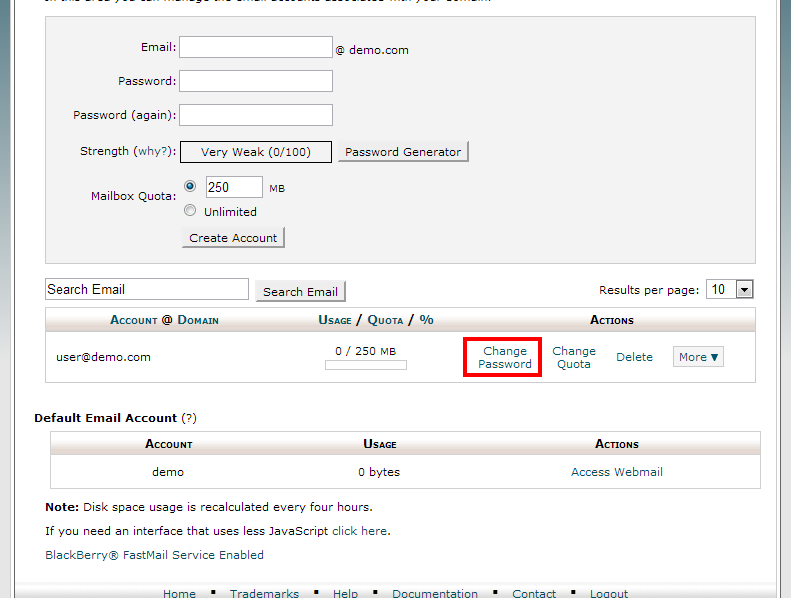 In this article, we will show you how to change your email account’s password through cPanel. 2) Click Email Accounts from the email section of the panel. 3) Click the Change Password button for the email account you wish to edit. That’s it! You now know how to change your email account password. Please keep in mind that if you have any email clients that connect to this email account, you will be prompted to enter the new password. In this article, we will show you how to change the password of additional FTP accounts. 4) Enter the new password and click Change Password. 7. How to change your NameServers. To register your domain’s Name Servers with Little Box Web Hosting you will need to visit the domain registrar where you purchased your domain name. Some examples include 1&1, Network Solutions and many more. There are a few options to choose from when changing your Name Servers. Provide us access to your domain name registrar and we will complete this step for you, free of charge! Contact our support department and we will have you up and running in now time! Every registrar has a different way to navigate to the Nameservers section, and each registrar provides detailed articles on how to complete a Nameserver change. To find this article you will need to navigate to your Domain Registrar’s support knowledge base, normally located under the support or help link on their website. If there is a search feature enter “How to change Nameservers” into the search field and you should have no issue finding the article. Follow the instructions in the article and enter the Nameservers listed above. If at anytime you need assistance setting up your Nameservers please feel free to contact us. Make sure that you include your registrars name and website. How do I add a new E-Mail address to my account?